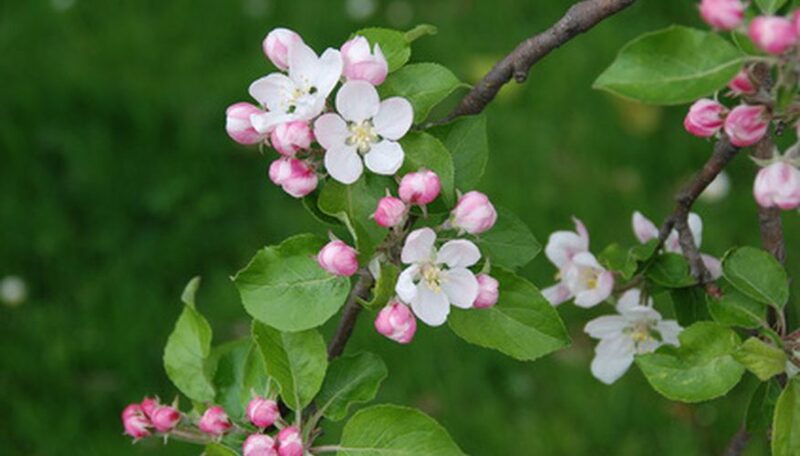 Are spring fruits and vegetable making your mouth itchy? 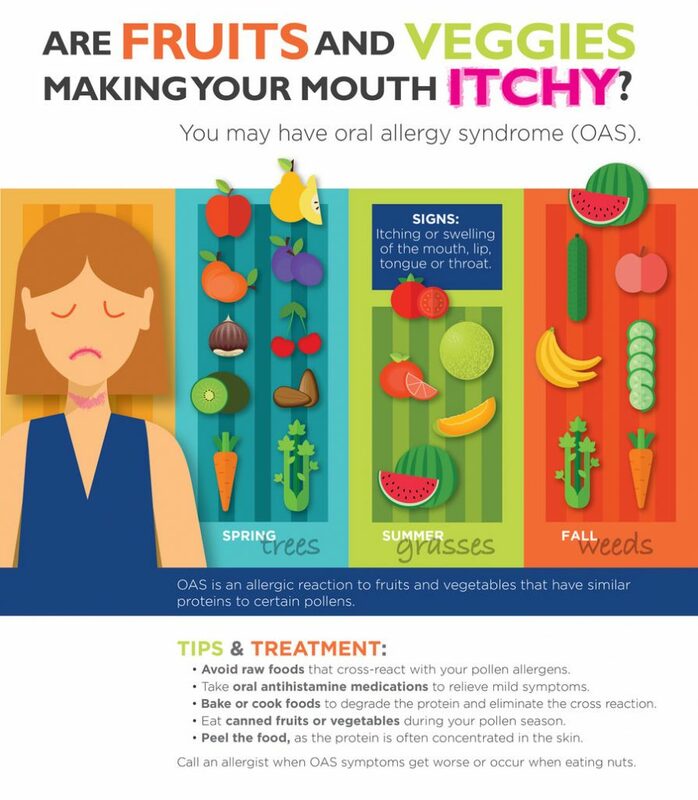 You may have oral allergy syndrome (OAS). 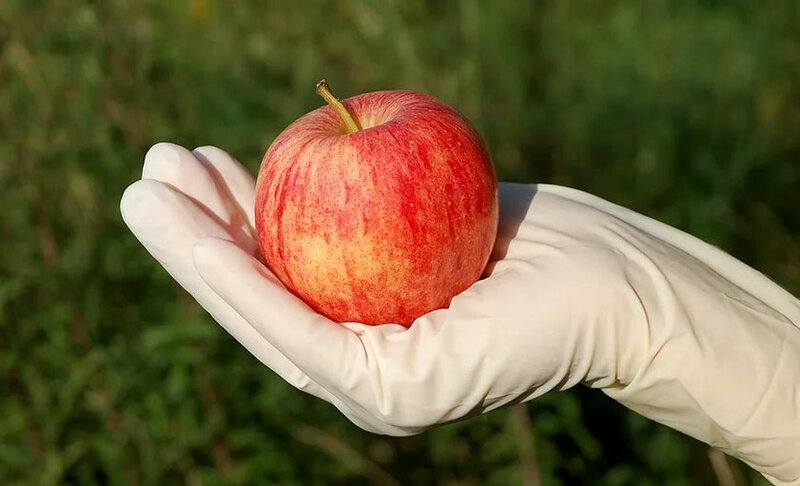 Oral allergy syndrome (OAS), also referred to as “food-pollen allergy syndrome” and “fruit-pollen syndrome”, is an allergic reaction caused by certain fresh fruits, raw vegetables, seeds or nuts that are consumed, typically during spring and early fall. 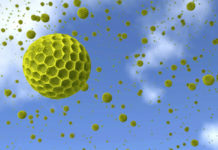 Pollen in trees, grass and weeds contains proteins that cause the itchy, drippy, sneezy symptoms of hay fever or seasonal allergic rhinitis that affect about 20 million adults and children in the United States, according to data from the Centers for Disease Control and Prevention (CDC). 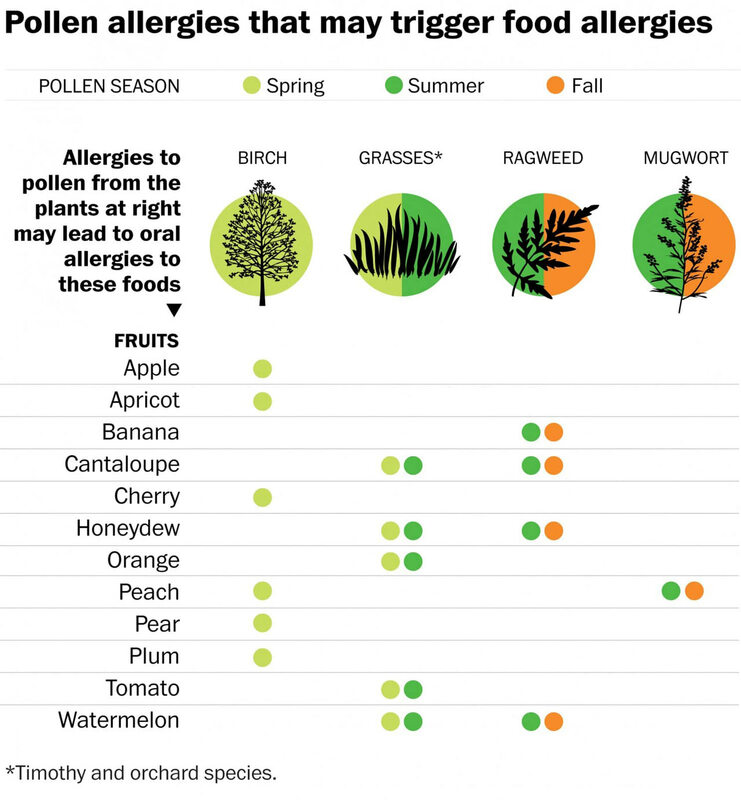 When certain fresh fruits, raw vegetables, seeds or nuts are consumed, typically during spring and early fall – the body’s immune system recognizes and essentially mistakes a plant protein in the food for pollen, and this irritant triggers what allergy specialists call a cross-reaction. OAS most commonly occurs in people with asthma or hay fever from tree pollen who eat fresh (raw) fruits or vegetables. It often takes repeated exposure to pollen to develop this food sensitivity, so it’s more common in adults than children. Oral allergy syndrome typically does not appear in young children. The arrival is more common in older children, teens and young adults who have been eating the fruits or vegetables in question for years without any problems. Young children under the age of 3 do not usually develop allergic rhinitis (hay fever) until after they are toddlers. Adults appear to be more affected than children. Your OAS depends on what tree or weed allergy you have. 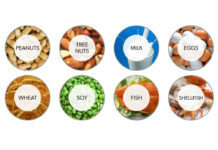 If you eat something that triggers allergies, you’ll notice symptoms almost immediately. Most allergists would agree that OAS symptoms appear no more than half an hour after eating. As noted above, foods that cause a pollen-like allergic reaction are usually fresh or raw. If you love oranges but notice they cause a reaction, orange juice, although it’s not as nutritiously-dense as an orange, might not cause the reaction. Same thing with tomatoes: Freshly picked ones from the vine might cause an itchy throat, but tomato paste might not trigger a negative reaction. Boost your immune system and avoiding the food in raw forms is the most common way to manage this. The weaker your immunity, the more likely your body will experience a cross reaction. Drink plenty of water, exercise daily, get at least 7 hours of sleep a night and supplement with anti-oxidants (under the care of a doctor or nutritionist). During allergy seasons, consume more cooked vegetables and try to eliminate the offending raw fruits. Use a food journal to determine which foods are triggering allergic reactions. If you use anti-allergy medicine, try to choose natural anti-inflammatory and natural anti-histamine nutritional supplements.